One of the basic rules I have here at the Black Belt Project, as part of my Dojo Kun, is to do first, then talk about what you did AFTER it's been successfully completed. Often people take the opposite approach. They decide to do something, talk about what they decided they want to do and then more often than not, don't end up doing it. This leads to a feeling of failure not only within yourself but it also paints a picture of failure in the minds of others if you consistently talk about doing but never actually do it. I've been guilty of this and maybe you have to. And, I'm sure, like me, you can think of specific people you've come across in your life that are all "talk" and after awhile they lose credibility with you because you know it's just not going to happen. Eventually, you just quietly tune out the next grand idea they have. I am not sure who started it, but I think the most prevalent advice out there is that you should set a goal and then tell everyone what the goal is that you set. This public announcement of your goal is somehow supposed to make yourself accountable to yourself and put more pressure on you to do it and make you think twice about not following through because of peer pressure. Then there's also the feeling that when set a goal you want to reach that telling others about it somehow makes them your goal police. I'd say this approach is more common for activities like weight loss. You set a goal like I'm going to lose so many pounds and then you tell your family that you are going to lose so much weight. Then, put the onus on them to make sure your reach your goal. You might say, if you see me eating this or that, get on me about it and don't let me do it! Making others your goal police puts them in an uncomfortable position that they don't care to be in and can create animosity between the goal "police" and the goal "law breaker". The important thing to remember about goals is that they are YOUR goals. It's not my goal. It's not your co-worker's goal. Whether you reach your goals is honestly not important to everyone else most of the time and so we don't really care and the last thing we want to do is make sure you do what you said you needed to reach your goal. We are busy trying to reach our own. 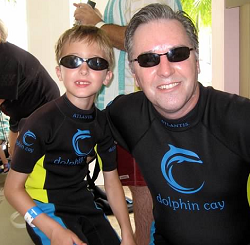 Recently, I went against my own rule by setting a very lofty goal and going public with it. I wrote about it in my post called The 1,000 Blog Posts of 1,000 Words in 1,000 Days To $50,000 A Month Challenge. It was very difficult for me to go "public" with that goal because I know it's going to be very challenging to accomplish. Not only because it's going to take a BIG commitment from but also because it's going to take a significant amount of effort as well. It's also going to take some luck. When I make this kind of goal public, there are some general reactions you can expect. The first is that if the goal is BIG, there is no belief you will reach it anyway. People ignore goals that seem un-achievable. So until there's action behind the goal, it won't garner much attention. The web is pretty crowded. There's also the likelihood that if you knew me personally and I had a habit of making lofty goals all of the time and this is 100th time I have revealed my big time goal to you and you knew I hadn't reached the other 99, that you won't put much stock into it either. And as much as I hate to say it, while most people want others to be successful, some don't want you do something that makes you more successful than them. Because of that, there's also the possibility that my reaching my goal might make threaten you in some way. It might either threaten your self esteem, the way you make a living or any number of things that I never dreamed might have had that effect on you and instead of having an ally in my journey to reach my goal, now I might actually have a saboteur involved that might try and prevent me from reaching my goal. With that being said, let's say that now you know my goal that I revealed in the post above and now, it's out there. Many people will eventually find out about it. And let's say that we are a thousand days into the future and I did indeed do as I predicted and successfully reached my goal. Psychologically, this is going to bring forth confidence of others in me that if I set another lofty goal, because I have done it once before, there will be a belief that there is a good chance I will probably do it again. It's that confidence, that faith and belief that we can accomplish what we set out to do, that we want to build here in me, in you and in all of those who take the time to study my work. Those kind of good feelings that we have about ourselves or have shown towards us are always great. It makes us feel good about ourselves and we all deserve that. It's my opinion though, that the best way to build that belief in myself, or you in yours, is to do FIRST and then talk about what you or I did after we have done it. I had lunch with some clients the other day and before the lunch one of the gals got her phone out and showed us a picture of her about a 100 pounds heavier. Having never met her before, I never knew she was overweight. And everyone else I was with never expected that either. I could tell inside that she was very proud of herself and she should be. Those good feelings that came from accomplishing her weight loss and the praise that we gave her, she deserved in every way. Everyone wanted to know how she did it, how long it took and so on. Sometimes, I think, it's those feelings that we are often really after when we set a goal even though all we have done is say what we want to others. We want them to cheer us on, reinforce their belief in us and help us get there and share the journey with us. We WANT people to treat us like we have already reached our goal. But in reality, that kind of real positive support is asking a lot of others and people don't live up to the expectation. When they don't, it's a downer and makes it harder to achieve what we really want. Compare this already successfully feeling of the woman I met who already reached her goal and lost over a 100 pounds to being overweight, setting a goal to lose a certain amount of weight and then failing to lose it. Now, compound that with others knowing her goal and realizing she might not achieve it. Then compound that with a lack of good feelings that go with being successful and that no one is telling you how great you are like they would be if you had been like her. There's no comparison. The first feeling leads to more success while the second feeling contributes to a feeling of failure that can easily lead to more and more failure. This is why I believe it's better to keep goals private and only share successes. So from here on out, I want you to set goals privately and share completion of goals publicly. The size of the goal is unimportant. It might be that all you did was get out of bed today. Whatever it is, every goal is small enough to keep to yourself until you reach it. And every success is big enough to share with everyone - no matter how small - ALWAYS. Don't talk about what you are going to do. Do it FIRST, then talk about what you did AFTER you succeeded. It will lead to much more confidence and much more success. 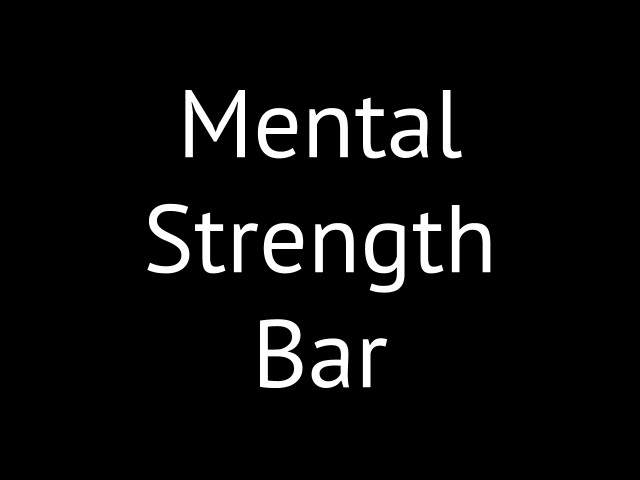 In this lesson, I wanted to talk about the mental strength bar. If you have read any of my past work, you'll be somewhat familiar with the term but might not be sure exactly what I am talking about. In my work, I don't do physically demanding work. I work with paper and computers. Most of it is not hard work, it's just a decision of whether or not I will do it. So when I look at what I have to do, it's a test of mental strength. 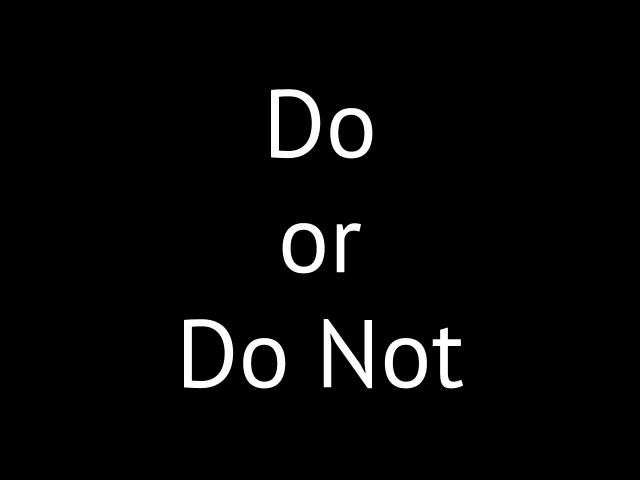 Will I do it - not can I. When you break it down, it's really easy work and it's a mental decision. As an example, right now, I need to send an email to someone that includes a letter I've drafted for them to print out on their letterhead and sign. It's not really a physically demanding task but I have to open another computer to do it securely and I just haven't done it yet. Often people look at this delay as procrastination. But really what it is is that the task I am trying to do is tougher than my will power to do it. I call this mental strength. You'll recognize people who have a lot of mental strength if you work with them. You ask for something you need done, you get it back. Just like you'll recognize people who have a low amount of mental strength. Have you done that yet, oops, I haven't sorry. Chances are you recognize yourself in both the people above. I know I do. Mental strength comes and goes just like physical strength. If you don't train physically, you get weaker and if you don't condition yourself to get things done, you also get weaker just mentally. Physical strength is easy to measure. You go to the gym, pick up some weight and see if you can lift it. Mental strength isn't quite as easy to measure. But mental strength is as important in life as physical strength. I measure mental strength in the number of tasks that you can complete in a day. To gain mental strength, you have to add more tasks to make yourself stronger. Unlike the gym, where it's easy to measure our physical strength, it's a lot tougher to measure our mental strength because we have no idea how many tasks we are doing (and often they are the wrong tasks). So to deal with this problem, you and I will use two tools. The first is the checklist where we break down exactly the tasks we know we want and need to do ahead of time. The second is by putting the mental strength bar on the list where we encounter a problem getting past the task on that list. So step one was that I had to first pre-think out what the tasks were that I wanted to do. I talk about how to do that more in how to visualize the perfect day. This gives me a list of things that if I did everything perfectly and if I did them all from start to finish would comprise the perfect day. But the problem as you and I know is that we only get so far down the list before we get side tracked and you just somehow don't manage to get that perfect day complete like you set out to do. Where you get sidetracked is how mentally strong you are. In my example above, you'll see that I could get all the way through emptying my inbox but I couldn't get my email action folder processed. That's why I put the bar between the two. My goal is to get mentally strong enough to push my mental strength bar all the way down the list. I call this process getting to Black Belt because it's the truest sign of mastery. Once you have refined your checklist and got it in the best order, the fewest steps and can complete it quickly, then you pre-planned everything you wanted to do AND DID IT then you made it Black Belt. Again then, just to restate, my mental strength would be all of the tasks I did that were above the bar. To compare it to physical strength, those tasks might be 50 pounds. But if you added one more pound (or one more task) I might not be able to lift it (or do it in terms of mental strength). When assessing mental strength, I think it's important to start with the bar at the top of your list to make success easy to achieve. I wouldn't put it way down the list, then figure out that you can't do it. So what I want you to do is think like this. If you went to the gym to work out, you might be able to lift 100 pounds. You might only be able to lift 50 pounds. Whatever that number is might be the max you could lift. But if you haven't worked out in a while, you are going to risk getting hurt or exhaust yourself so that you just wouldn't go to the gym any more. To prevent that, I want you to think in terms of progressive resistance. What this means is that you start small and as you are strong enough, you add more weight. We start with every light weight and then we increase it when we know we can do so without risking injury or frustration. In terms of our list, I want you to imagine that each task (if you have broken it down to it's smallest step) on your list is one pound. And if you have to, just start with one pound and put your mental strength bar right there so it's so easy to do that one task that it almost seems stupid to put it there. Once you know you can do that one task without fail, then you raise the bar to two tasks (two pounds). And you just repeat the process once you know how many tasks you can do, add a little more over time. You always have permission to do more tasks but the day is always successful if you complete all of the tasks up to your mental strength bar. Before you know it, you'll be completing your whole list. And that's the concept of the mental strength bar. 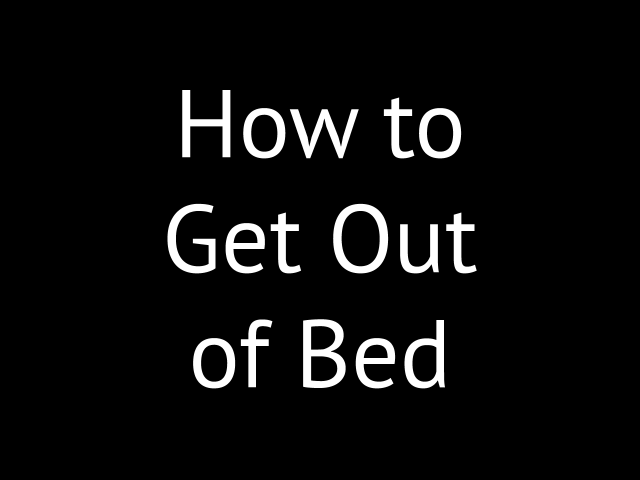 When you are digging out of a motivational slump, the first task you often have to tackle is how to get out of bed when you don’t really want to. If you are feeling all down and depressed, it’s pretty common to use sleep to avoid life in general. I know this is a habit of mine. When I lack motivation and I’m trying to figure out how to get motivated, I tend to become a sleep-aholic. I tend to stay up way to late and then don’t want to get out of bed at a decent time because of it. Once that happens, and it becomes a habit, it’s a tough one to break. Next thing you know, I’m taking naps during the day to catch up and I’m like a cat laying around the house all day taking naps where ever I can. Getting into a habit like this is very unproductive. It’s very tough to master your life when you don’t start living it until the afternoon. And, while I don’t have any stats to back it up, my guess is that it’s very unhealthy for the body. So let’s talk about how to get out of bed and eliminate this bad habit and condition a better one which is to get out of bed because you actually WANT to not because you HAVE to. The first step is learn how to visualize the perfect day. You can see the visualization of my perfect day here in My Black Belt Project Checklist. Now depending on when you read this, my checklist is going to be dynamic. It's going to change as I work with it. As I write this, it is far from complete. 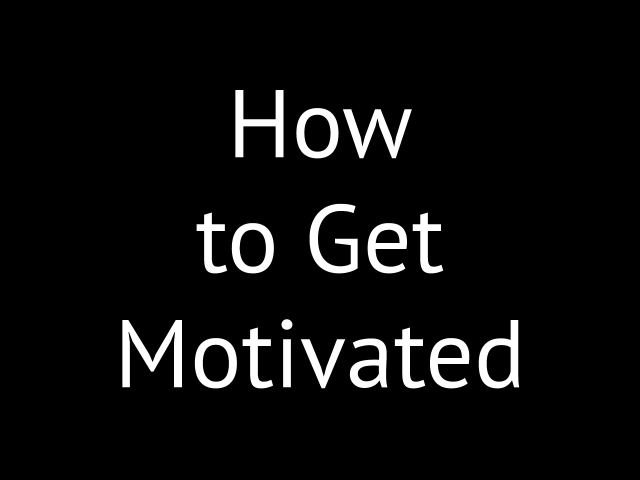 But the idea is that you need to know exactly what it is you are going to do when you get out of bed. What you don't want to have happen is that you get up and think, well where do I start. You want to KNOW what the first thing is, the second and so on. You can see here, I've pre-thought out what I am going to do so there's no thinking in the moment about what it is that I want to do when I wake up - I already know. I use my iPhone 5 as my alarm. One of the options is that I can use music instead of some sort of tone to wake me up. What I have done is select a song that makes me feel like I can be successful. Now, there are a LOT of options here. But the song I use is a song called Gonna Fly Now (Theme from Rocky). I've used this song forever to pump me up. I guess it works for me because it gives me a sense that I can accomplish whatever I set out to do. Certainly, there's a song that works for you. Whatever that song is, load it up and use it to wake you up. The next thing I do is put my phone out of reach from the bed. Usually I am charging the phone overnight, so I typically have it plugged it on the floor next to the bed. I have to get up to turn it off. The physical act of getting out of bed is the hardest part. Getting the body moving is half the battle. If you can't just hammer the snooze button easily, then you stand a better chance of maintaining momentum if you are already out of bed. If you look at the checklist above, you'll see there's what I call a mental strength bar. It looks like this. I place this bar at the point of how many tasks I can do easily in a day. You can see in the image above, that right now, it's at the end of my waking up routine. What that bar represents is just how mentally strong I am at the moment. When I wrote this, I have committed and can do at least those tasks without any problem on a daily basis. Beyond that, while I could do additional tasks if I wanted, I didn't have to or maybe I couldn't find the mental strength to do them. When I wrote this, I was mentally strong enough just to do that part of my checklist. Because I am strong enough to do all of the tasks above my mental strength bar, I've also made a deal with myself that no matter what happens during the rest of the day, I can consider the day a success if I at least do those things. If I do, I pat myself on the back for a job well done. If I do more that day, great, if I don't I don't worry about it. I do this because I know that later I will be moving the bar using a concept of progressive resistance or making my day just a little bit harder (similar to adding weights to a workout bar). Once I get up and do the tasks that lead up to my current mental strength, I play the same music that I used to wake up to - in my case, the Rocky Theme. I do this to condition myself that when I hear the music that wakes me up that it matches up to the feeling I get when I reach my current mental strength. Once you do all of the tasks to your current mental strength, that day is a success and you can feel free to go back to bed if you want. Eventually, you'll get to the point you will just stay up and work on other stuff because you will be mentally strong enough to do it. So that's the strategy I use to get out of bed. Start using it and condition yourself to match the feeling of waking up to the feeling of completing things in your day.